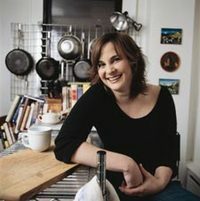 This entry was posted in Non-Fiction and tagged Cooking, Memoir by Jennifer Jones. Bookmark the permalink. I haven’t read this book, but I saw the movie. I liked the story. She persisted in making every recipe in Julia’s book, somewhat like us and this A to Z Challenge. I brought that book on CD on a road trip but didn’t have a chance to listen to it, although I did watch the movie recently. I marvel at how much time and money she must’ve had to make these recipes, sometimes multiple times when they failed! It is a great analogy for writing, all that time spent on a first draft that turns to a total flop. Excellent work!